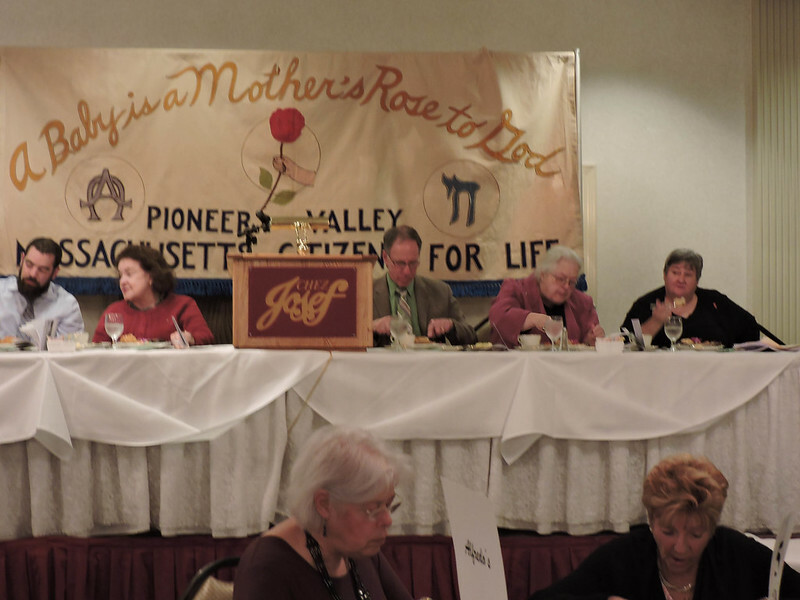 At the 44th Annual Pioneer Valley Massachusetts Citizens for Life (PV-MCFL) Mother’s Day Dinner held at Chez Josef in Agawam, on May 11, 2017, Dr. Joel Brind gave a pretty convincing presentation on the link between abortion and breast cancer. His studies, research, and most importantly data show that there is a higher probability of breast cancer for women who have had an abortion. Dr. Brind graduated from Yale University, and received his doctorate in Basic Medical Sciences from New York University, with specialization in biochemistry, physiology, and immunology. He is currently a professor of human biology and endocrinology at Baruch College of the City University of New York. He provided a great deal of data and statistics on the subject that show the correlation and risk factor being much higher for women who have had an abortion. Yet at the same time, we must all open our eyes to the fact that what rules today, in America, is political correctness and an agenda that wants you to draw a certain conclusion, not science in many instances. We see this all across the spectrum of issues that confront us today. In his presentation at the Mother’s Day Dinner, Dr. Brind showed a factual, data-based publicized study that showed a higher risk factor for breast cancer for women who have had an abortion. He said the editor of the journal just swept away the study with a broad brush, with no proof, no data, just words so that the politically correct agenda was upheld. In another instance, Dr. Brind showed a study in a prominent medical journal that used false data to support the opposite conclusion that there was no link between abortion and breast cancer. On critical issues such and abortion and breast cancer, it is a sad situation that the medical establishment, political agendas, and the media distort truth and affect the very lives of women in order to keep and protect their agenda for what they want you to believe, not based on science, facts, or proof.